Time to make your first coffee! Woo-hoo! Let’s make it perfect. Now, see how to use your machine (Manual, Automatic, Touch) by watching our films. It won’t take long! Easy - your machine is getting no power. First, check the plug is properly plugged in. It is? Try another socket. Hmm. This could be a faulty capsule. Try another and If there’s no change, it could be the pump or the electrics. It probably means your machine is over-heating and needs some professional TLC. Contact us using the button below to get it sorted. All done? If you’re pleased with your gorgeous creation, why not show it off on your Facebook or Twitter feed? 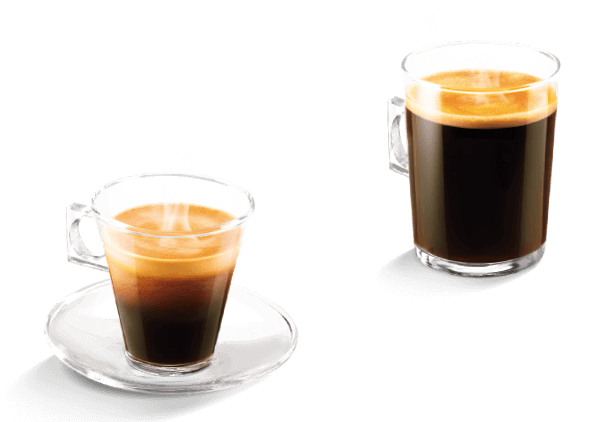 There’s everything here from full-bodied espressos to sumptuously foamy macchiatos. You’re sure to find a favourite..or two. Dive in! 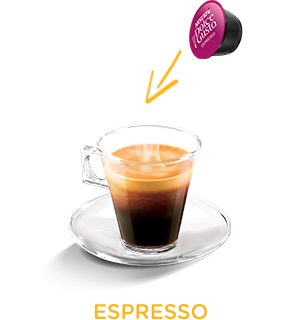 Our classic intense espressos are made with a perfect velvety finish. 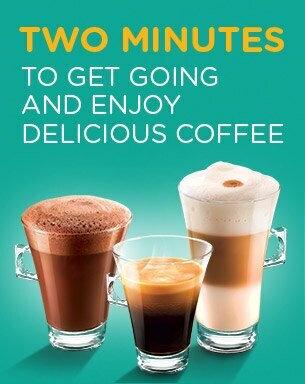 Longer coffees that bring you a satisfying depth of taste. 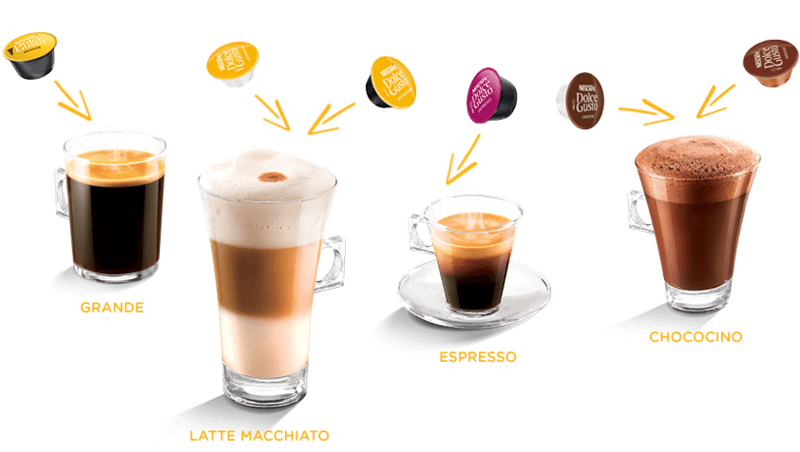 Because everyone deserves a little froth in their life. 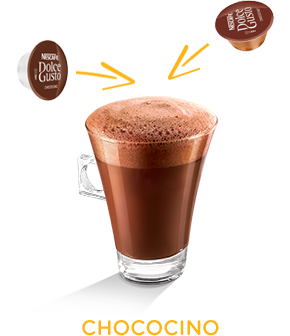 Who can resist curling up with one of these sumptuous hot chocolates? Inspired by flavours from all over the world, one of lovely teas can match your mood perfectly. 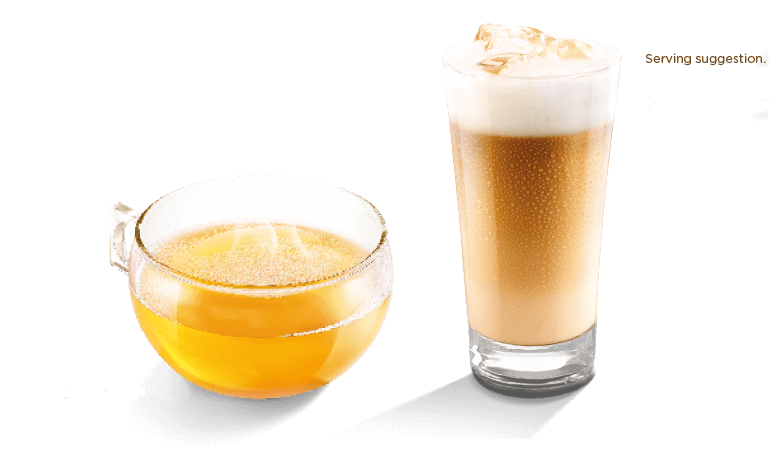 Classic iced coffee or refreshingly fruity teas. 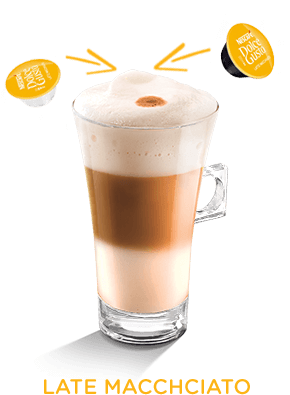 Love NESCAFÉ Dolce Gusto? Join our community! 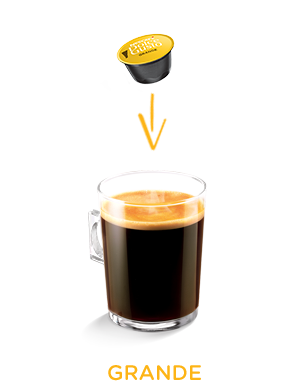 There are 1000s of likeminded fans of NESCAFÉ® Dolce Gusto® out there. Why not share your love of our little pods of deliciousness?! 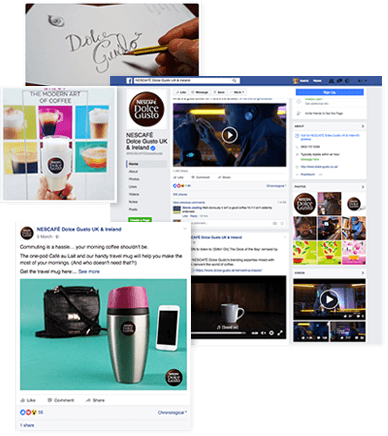 Follow us on Facebook and find other NESCAFÉ® Dolce Gusto® fans. Sign up for our newsletter to hear about our latest brews. Shop now - Jazz up your coffee breaks with our range of beautiful accessories.